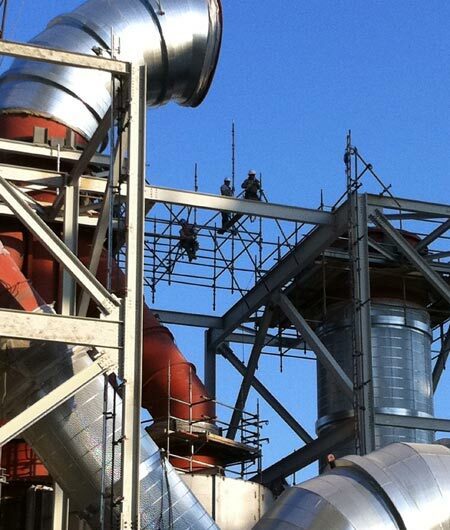 Searching for an Industrial Scaffolding Company Near Corpus Christi, TX? 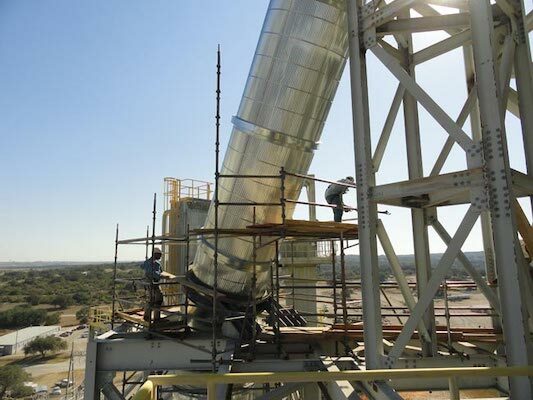 GIS Construction provides work access industrial scaffolding services for our own access needs, as well as the specific needs of our customers. We provide the industrial scaffolding for our insulation and siding crews to work productively and safely. Equally important are the access needs of the general contractor and their subcontractors. We often supply the access needs for the structural steel erector, the mechanical erector (millwrights), and the electricians. We pre-plan with the other trades to assess each trades access needs, which often leads to a cost savings due to multiple use of the same work access. GIS can provide engineered scaffold for any access needs our customers may have. We exclusively use CUPLOK® System Scaffold. CUPLOK is distinguished by its unique node point, which allows up to four components to be connected in one fastening action. 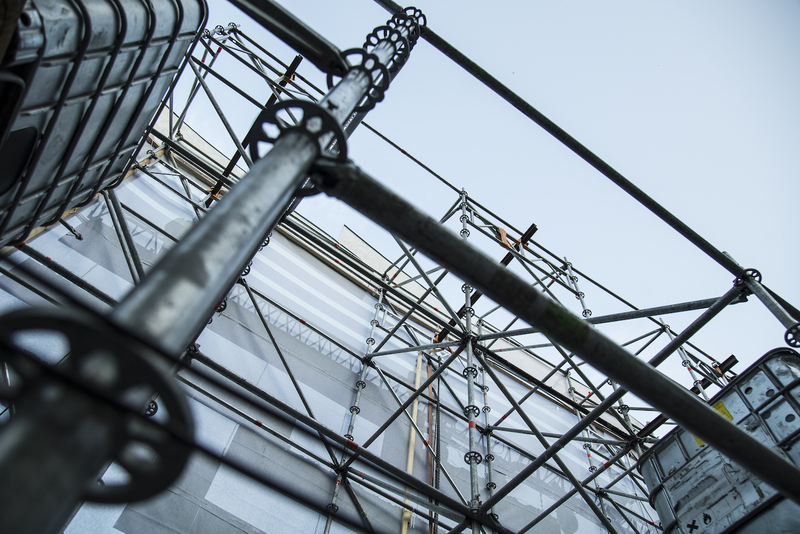 CUPLOK is ideal for a wide range of applications including continuous façade, circular scaffold, birdcage access and staircase access.It is often used for renovation scaffolding, façade scaffolding, masonry scaffolding, and support towers. As with all our services, GIS can provide estimating, pre-construction planning, and onsite project management for our customers’ maintenance, outages, and capital projects. If you have any questions about our company or the industrial services we provide, please contact our professional team today! GIS Construction, LLC is an industrial scaffolding company offering metal siding installation, industrial insulation, industrial painting, and more to clients across Corpus Christi, Brownsville, Galveston, Texas City, Houston, Victoria, New Orleans, Mobile, and nationwide. We’re ready to discuss your next industrial project! We can also provide additional information regarding our company or our services once you send us a message.